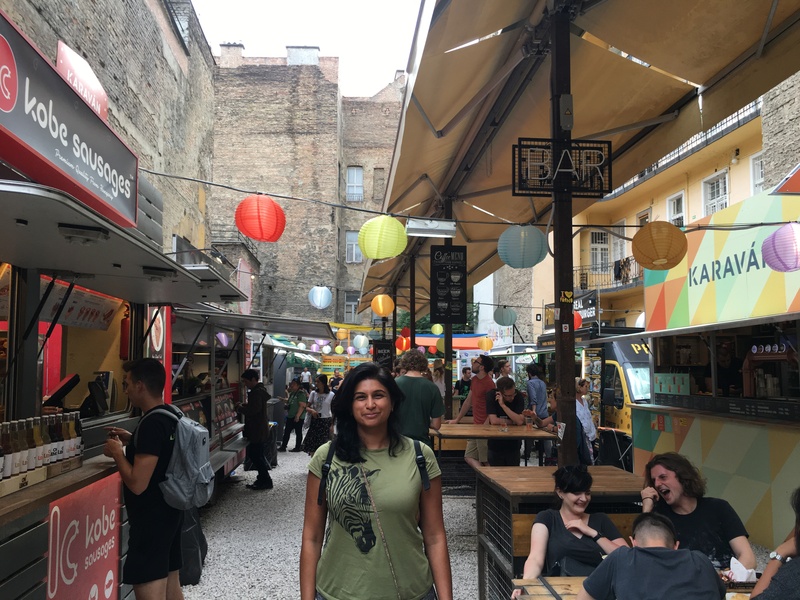 Karavan: This is possibly the best and most reasonable place to have Hungarian street food. There is a vegetarian version of almost everything that is available. You can try the local street food and well as fusion food. The place is busting with tourists of all ages and is easy on the pocket too. I had a langos with rocket leaves and grilled peppers here and it cost me ~EUR 3.5, which was dinner for me! Napfenyes Etterem: This is an awesome vegan restaurant on a quiet street. I loved the sit out and the service was amazing…a taste of Hungarian hospitality. The staff is happy to recommend and there are small portions of side dishes that can let you sample a lot of food without ordering huge portions and wasting food or money. 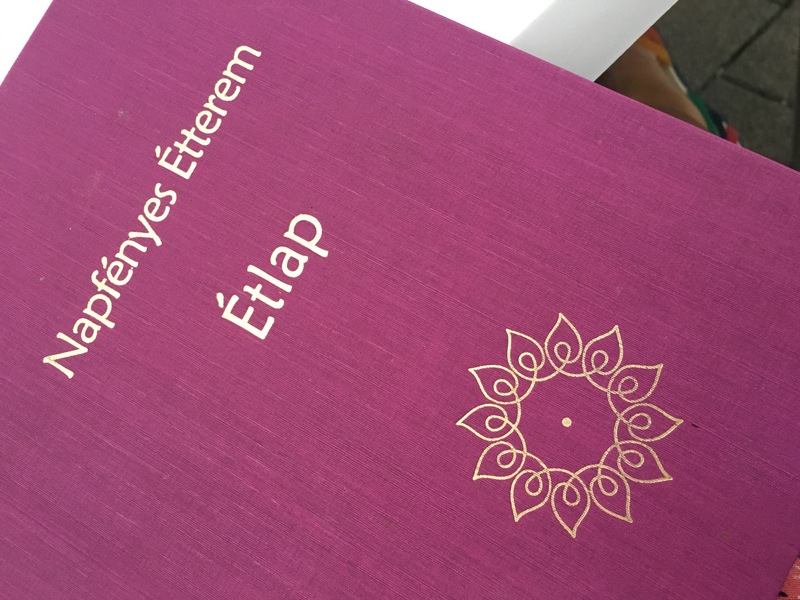 I had my best meal in Budapest at Napfenyes Etterem and I highly recommend the bean goulash and falafel with hummus here. Goa Mama: I made my way to Goa Mama because it was so close to my hostel and had a warmth to it….and I am so happy that I did so. Goa Mama is a perfect place for breakfast or a coffee. The interiors are comfortable and the cakes are delicious. 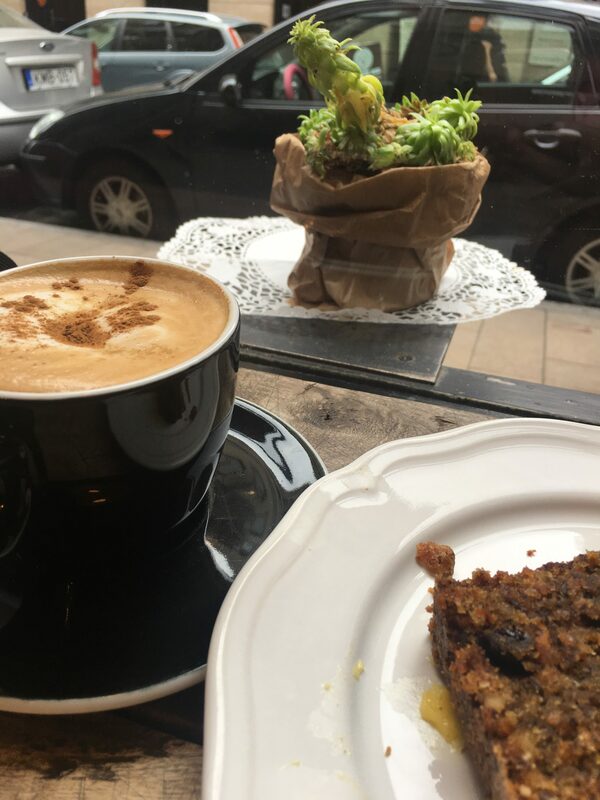 I possibly had the best carrot and walnut cake that I have ever eaten in a restaurant (the one my Mom makes is the best in the world though). 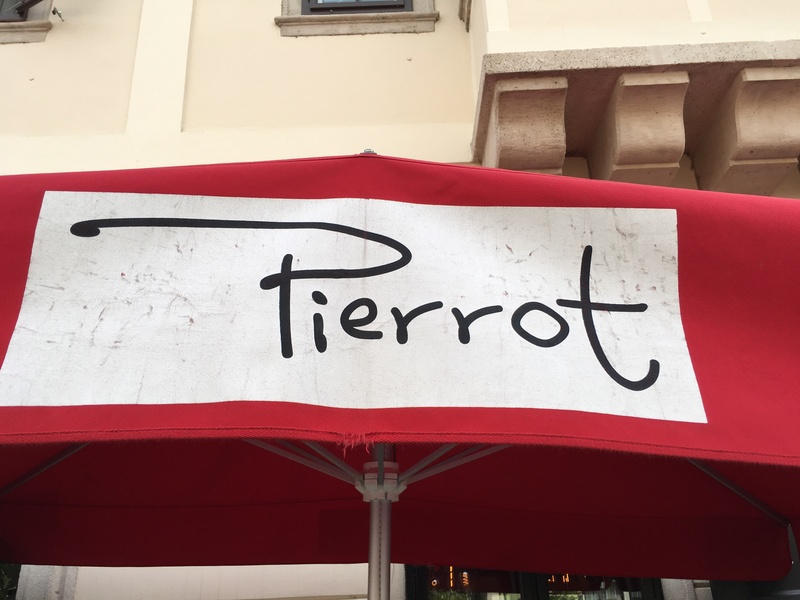 Peirrot: I seldom eat at fancy places when I am alone; Peirrot was an exception. Located on the Buda Castle hill, the restaurant had a lovely garden with shade. It seemed magical on a hot summer day and I found myself chomping on some authentic Hungarian dumpling dessert, which looked very fancy as it came with a little lavender. I would recommend this place for lunch provided you are not on a shoestring budget. My dessert alone cost my EUR 7….so it sure is an expensive place! 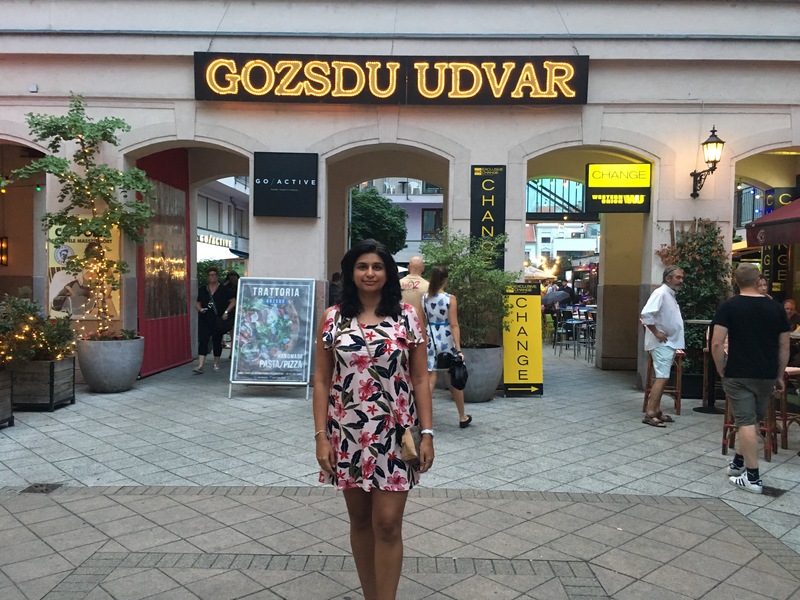 Gozsdu Udvar: The food court has a lot of bars and restaurants and a variety of cuisines ranging from authentic Hungarian food to Jamie Oliver’s Pizza. If you are confused about what you want to eat, just walk through this little lane and you will surely figure out something to your liking. I tried some Indonesian noodles and pizza here, and both were great to taste and reasonably priced. Besides the above, there are a lot of pizza places that will let you buy a pizza by the slice. Most gyros serve falafels, hummus and other dips that are part of the mezze platter. Do you know of a restaurant in Budapest that serves vegetarian food? Ping me if you do, and I would love to add it to the list!